The contributors to this issue investigate the complex ways that policies of the Affordable Care Act (ACA) have diffused through the states over seven years of implementation. When the ACA was passed in 2010, states were given the option to set up their own health care exchanges, expand their Medicaid programs, and reform both their local public health and their health care delivery systems. These reforms significantly impacted citizens’ access to insurance. Contributors examine how local conditions account for variation in enrollment across states, analyze the evolution of Medicaid waivers in Republican-led states, show how early-adopting states affected later adopters, explore the role of public opinion in the diffusion of ACA policies, and argue for the importance of rhetorical framing when advocating in favor of the ACA. 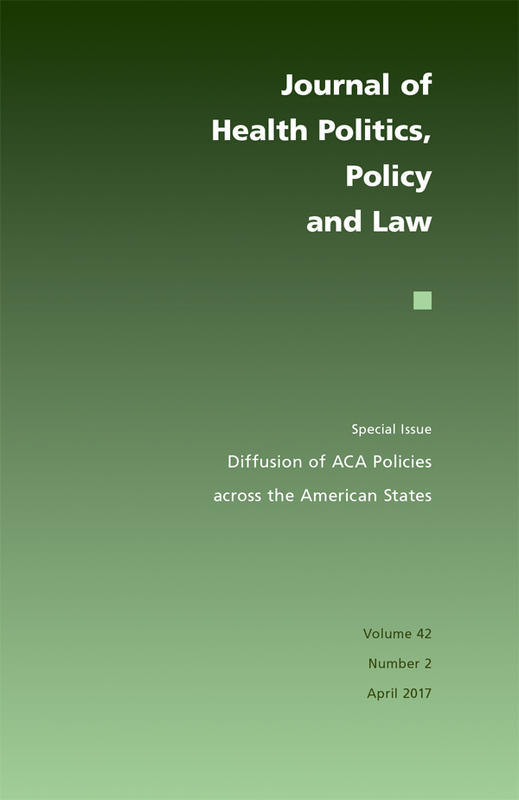 View the table of contents for Journal of Health Politics, Policy and Law 42:2, "Diffusion of ACA Policies across the American States," at the journal's online site.